Recently, I saw this milk jug catcher over at Family Fun and it reminded me that I had made a set of these catchers years ago. They are so simple. Just cut off the bottom of a milk container and cover with a bit of duct tape for decoration. Hold the container by the handle and start playing catch with a friend. I love this activity because even young children can play it. The opening is large and it is easy to hold. I prefer this to a game of velcro catch where the ball can be very hard to remove for some young ones. If you want to make it more difficult for older kids, play with a ping pong ball. 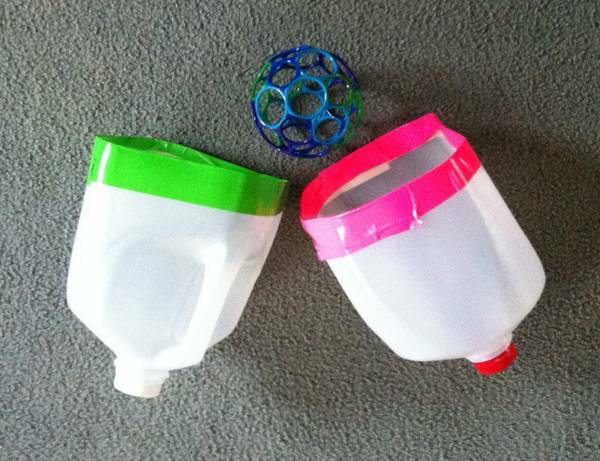 The ball is smaller and it bounces easily out of the container so it is trickier to catch. Try playing this game in the water - the milk containers scoop up a lot of water. Adds a whole new dimension to a water fight! I am sharing this post over at the Kids Co-op. These would make a great backyard game. Love the idea for using them in a water fight too. Much easier to use than store bought catchers too! 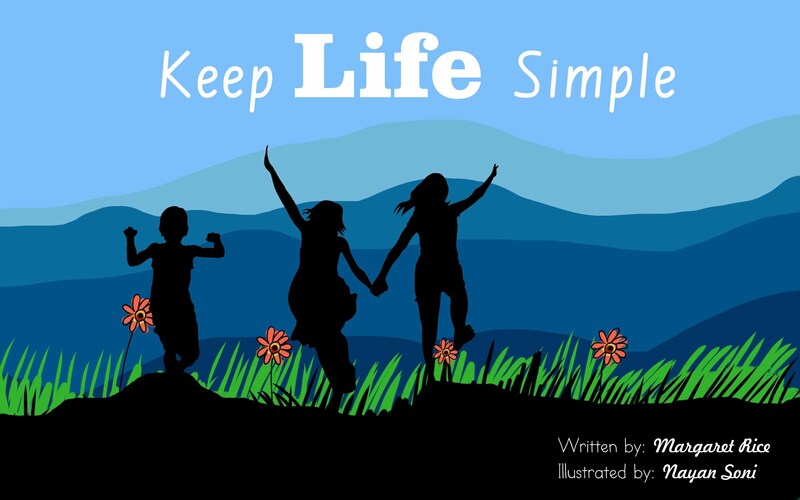 Keep Life Simple - Go bike riding.